A Very Fine Black Hawk Weathervane. 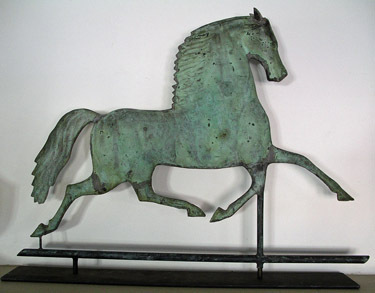 A great form with the best verdigris surface! and a crack in the rear of the forward leg.